Enjoy a bottle of house wine on arrival- the perfect way to begin a relaxing break! Stay in unspoiled woodland just a short drive from Solihull - Meander down the charming streets of Solihull and let yourself be tempted by high-street shopping and enchanting tea rooms. This exceptional hotel has been newly refurbished throughout, boasting modern contemporary rooms, an AA rosette-awarded restaurant and beautiful grounds to explore. This hotel is in the heart of Warwickshire's gentle beauty which in turn is dotted with landmarks of British history. 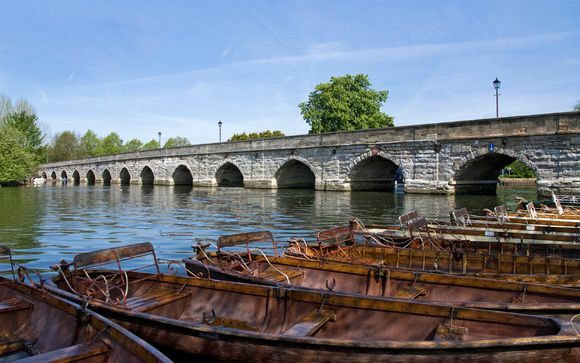 Within easy reach is Shakespeare's Stratford-upon-Avon, where there are connections to the Bard at every turn - Shakespeare's birthplace, Anne Hathaway's Cottage and of course the famous theatre. Not far away is Birmingham, the poster child for reinvention, over the last decade this once industrial city has been revitalised with a sleek new shopping centre, beautifully restored Victorian buildings & a positive explosion of trendy bars & restaurants. 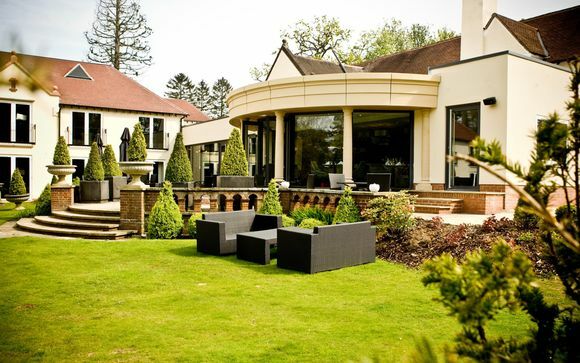 Set in 25 acres of unspoiled woodland, this hotel exudes comfort and sophistication. 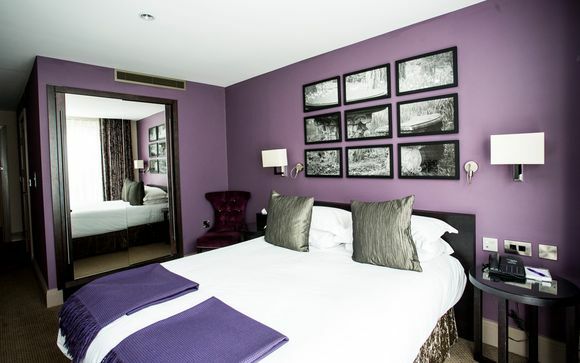 You'll feel right at home in your refurbished modern bedroom and are guaranteed to fall in love with the cuisine at the hotel's AA rosette awarded restaurant! Each room in this hotel features a touch of brilliance: plush furnishings, a large double bed swathed in soft Egyptian cotton sheets and splashes of colour are brought together by elegant finishing touches such as velvet throws and towers of pillows. 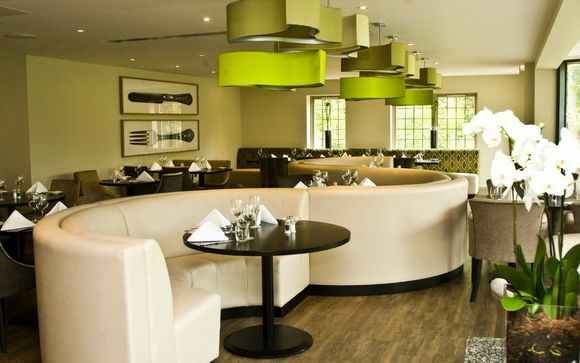 Sophisticated decor, seasonal menus and not one but two AA Rosettes all combine to create a memorable experience. Tantalise your taste buds with the executive chef's innovative twists on British classics.